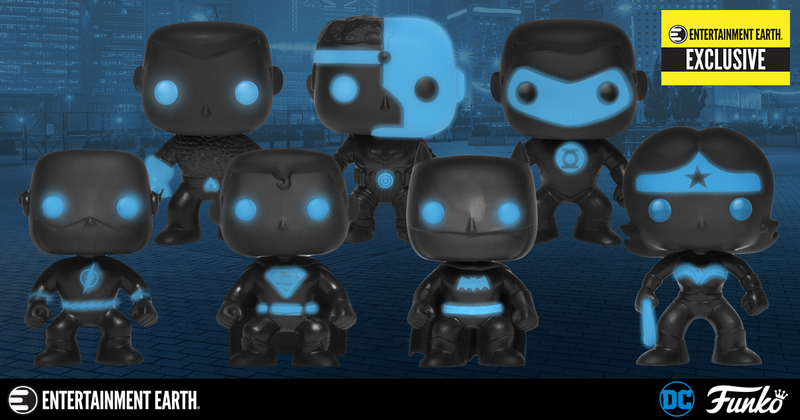 The Blot Says...: Justice League Silhouette Glow in the Dark Edition Pop! DC Comics Figures by Funko – An Entertainment Earth Exclusive! 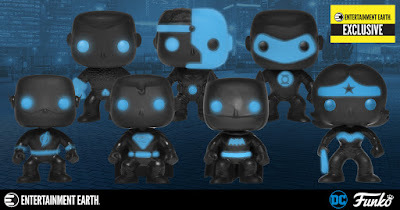 Justice League Silhouette Glow in the Dark Edition Pop! 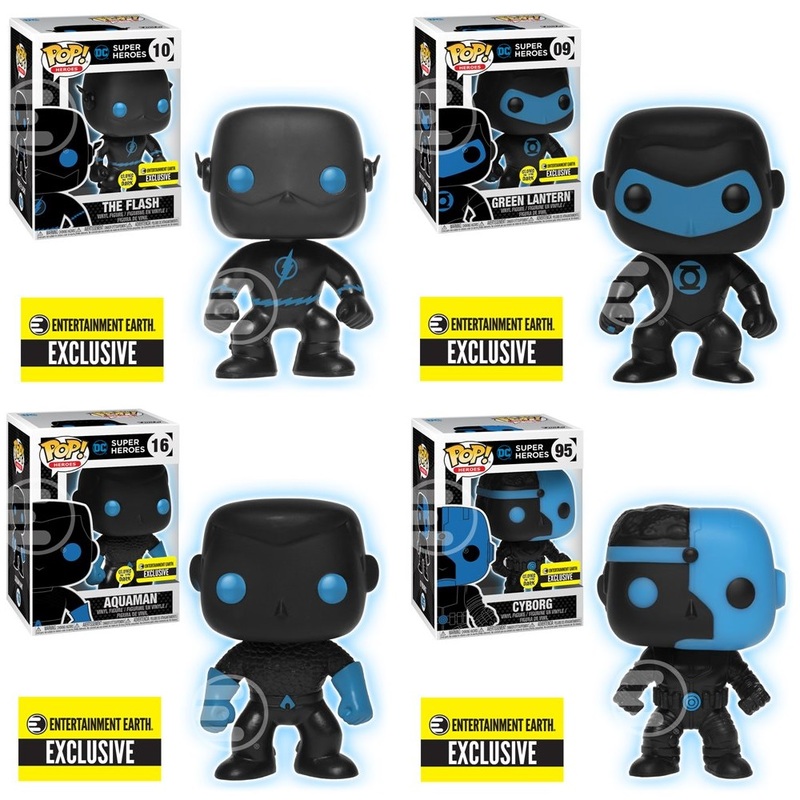 DC Comics Figures by Funko – An Entertainment Earth Exclusive! 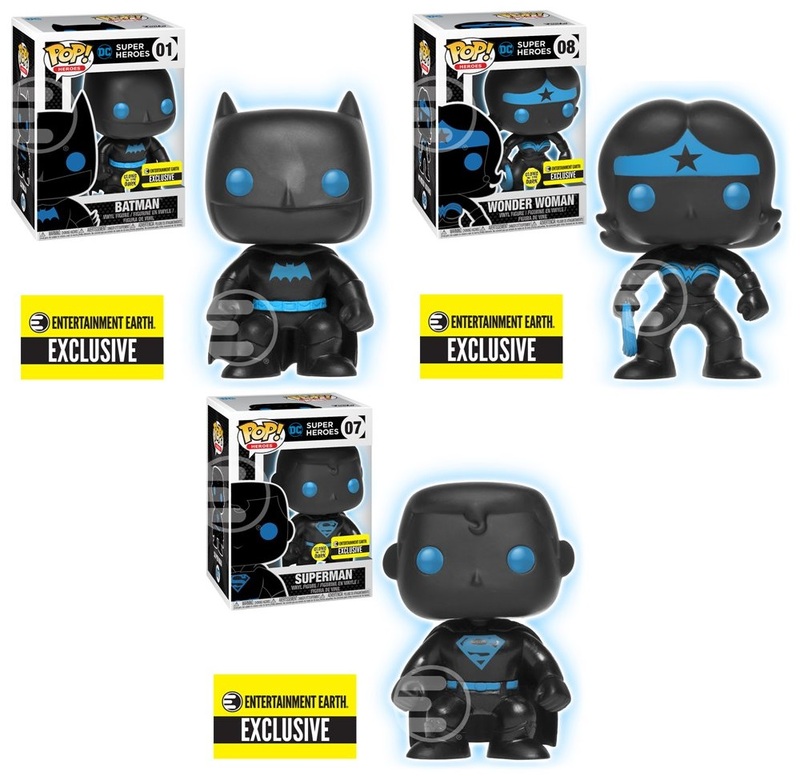 With the live action Justice League movie almost here, Entertainment Earth has teamed up with Funko to release this epic retailer exclusive series of Silhouette Glow in the Dark Justice League Pop! figures based on the heroes’ classic appearances in DC comic books. This fantastic new colorway features silhouetted versions of the original JLA team with glow in the dark elements to really make them POP in your collection. The Silhouette GID Justice League Pop! Series includes Superman, Batman, Wonder Woman, Aquaman, The Flash, Green Lantern and Cyborg. What The Blot really loves about this series is it utilizes the original Funko Pop! body style, which has basically been retired the past few years. 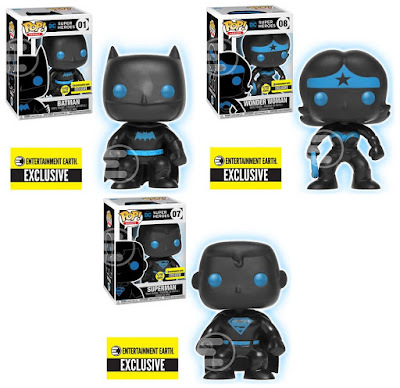 Each Entertainment Earth Exclusive Justice League Silhouette Glow in the Dark Edition Pop! vinyl figure stands 3.75” tall, features one point of articulation and come packaged in a full color displayable window box. All seven DC Comics figures can be pre-ordered now exclusively at Entertainment Earth for $13.99 each here.